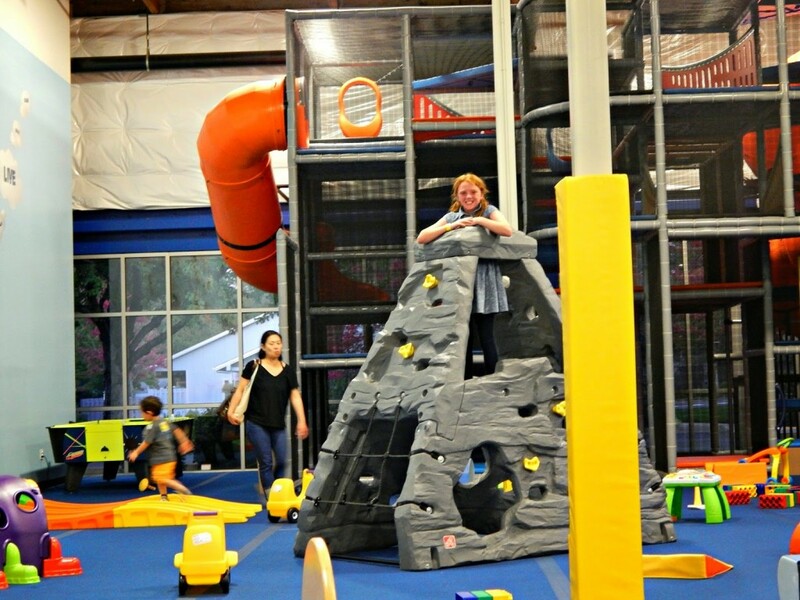 Home life	Living Locally: Sky High Sports Family Fun + Giveaway! 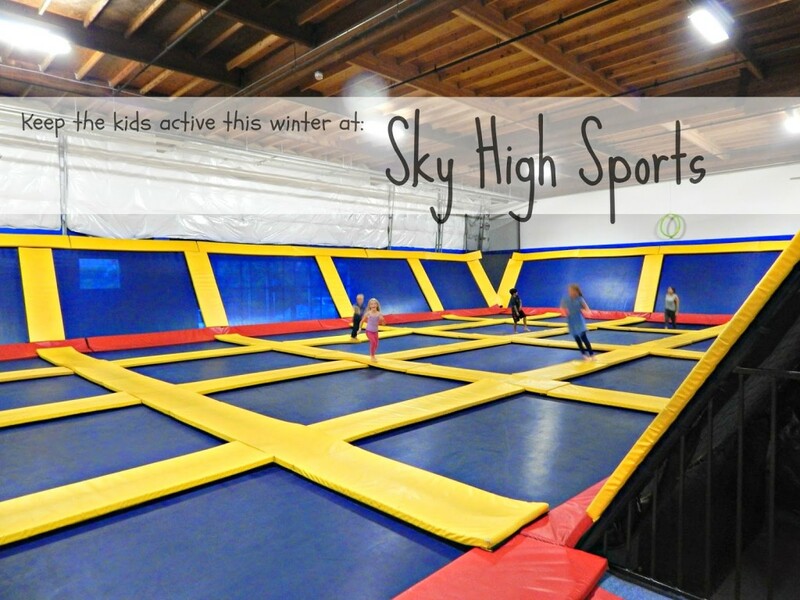 Living Locally: Sky High Sports Family Fun + Giveaway! 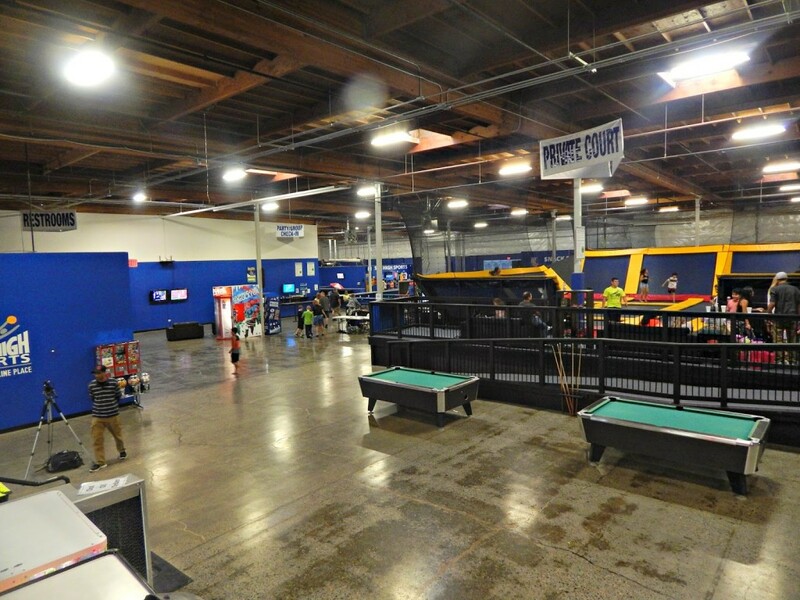 Disclaimer: We received passes to Sky High Sports to review, no other compensation was received. All opinions are my own. Happy Friday everyone! 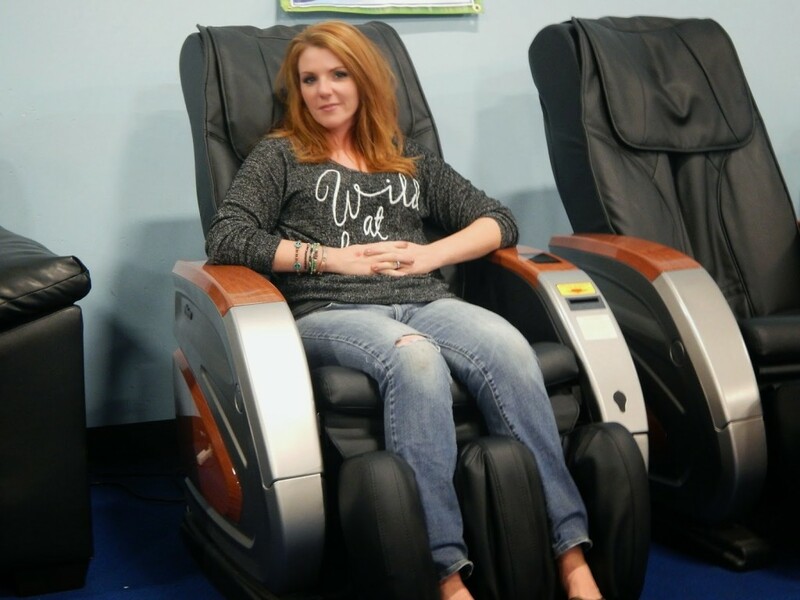 I hope you get some time to relax and enjoy this weekend! 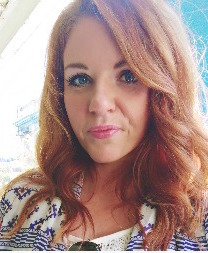 I have a fun giveaway to share with you today! The kids had been begging me for months to take them to Sky High Sports – an indoor trampoline fun center – but it was just something that I filed away as a “to-do” someday, and then a couple weekends ago while we were out visiting pumpkin patches I decided to surprise the kids and stopped by on our way home. They were just a tad excited. I made sure that I signed the waivers online first so I wouldn’t have to worry about that when we got there. We entered in to the large building and my kids let out a little gasp of anticipation. 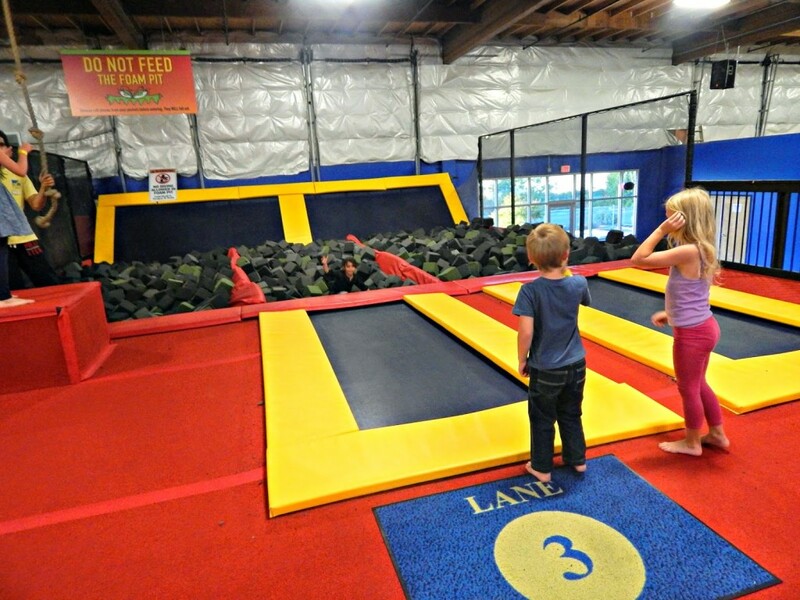 There were multiple areas with different activities for them to play on – sections for all ages to jump, certain areas for just younger children, a basketball bouncing area, a foam pit – and all of the sections had their own attendant supervising everyone. There were also video game stations, plenty of vending machines to purchase cold water (we definitely needed it!) 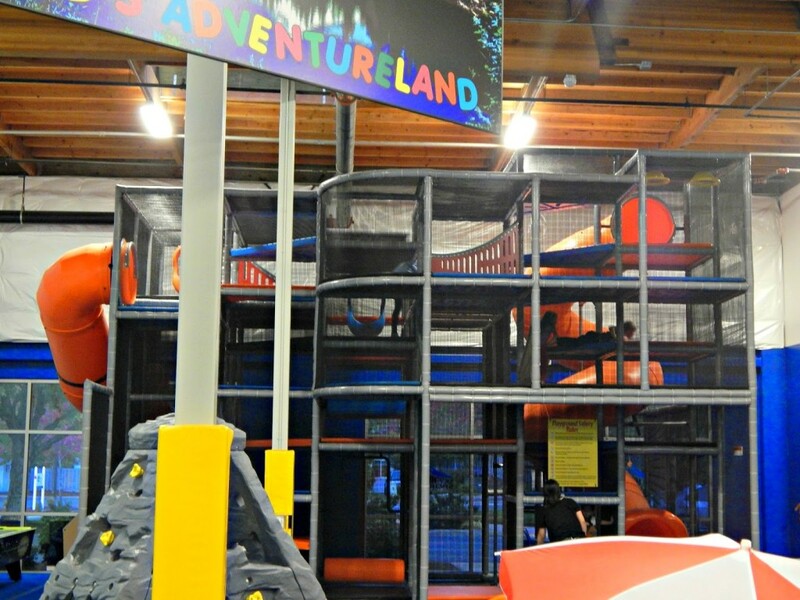 and then an area called Kids Adventureland, which is a fun area full of activities for children 12 and younger (Anika thought she was pretty cool because she slid by being 11). 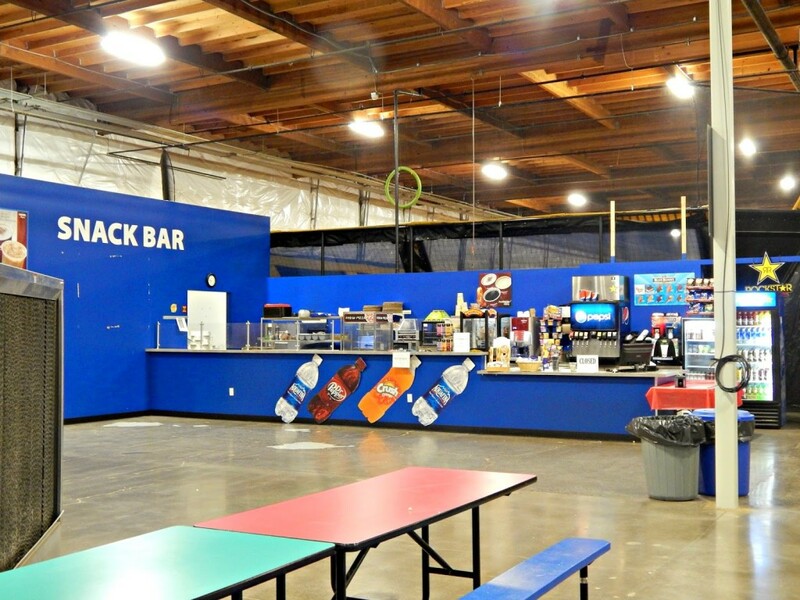 If you wanted to make an afternoon of it, there’s also a snack bar and seating for lunch. 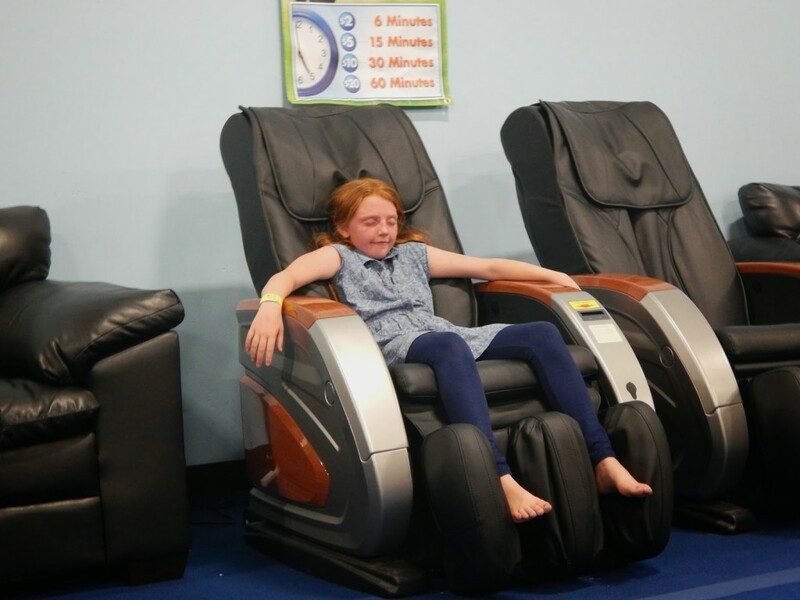 The building has plenty of seating for parents and anyone else who’s not jumping (or just needing a break) with many very comfortable leather couches….and massage chairs. There’s even an area with a TV and lounge chairs so dads can keep up with whatever game is on TV. Needless to say the kids (and I) had a great time and they’ve already begged me on multiple occasions to go back there and had a birthday party (there is one private jumping area that is available for private parties). 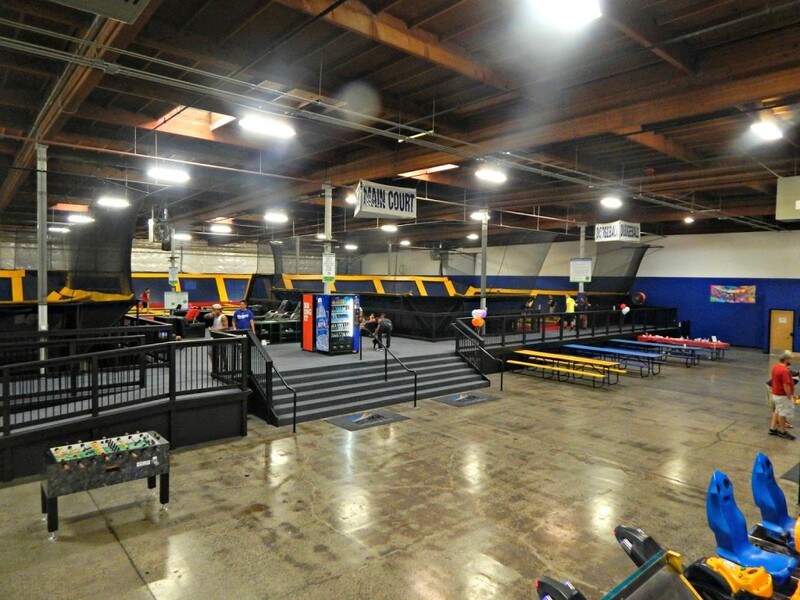 If you’re local, Sky High Sports is located in Tigard, but they also have locations in California, Illinois, North Carolina, Tennessee, Texas, and Washington – and I’ve got some FREE passes to give away! 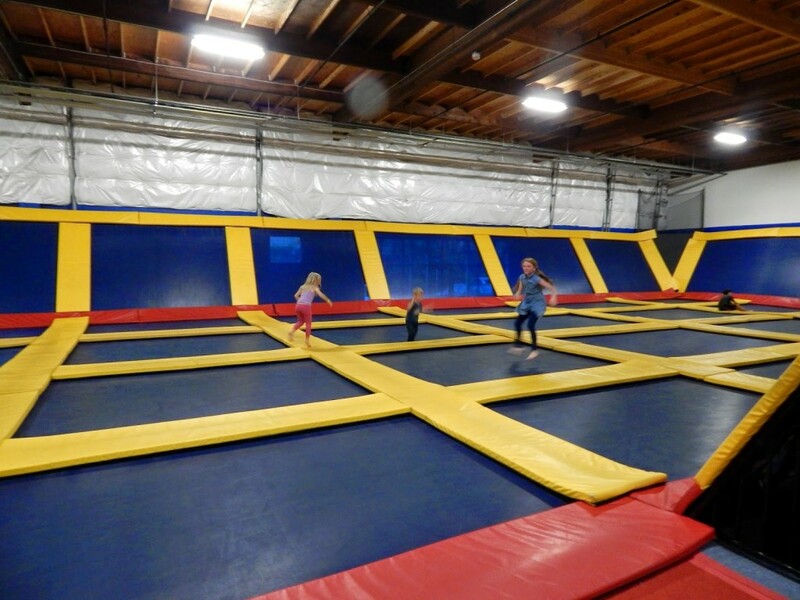 Normally you see a “Family 4 Pack” giveaway, but since I have a family of 5 – I’m giving away 5 1 hour jumping passes away! These passes can be used at any Sky High location and will be mailed directly from me to you! Good luck! 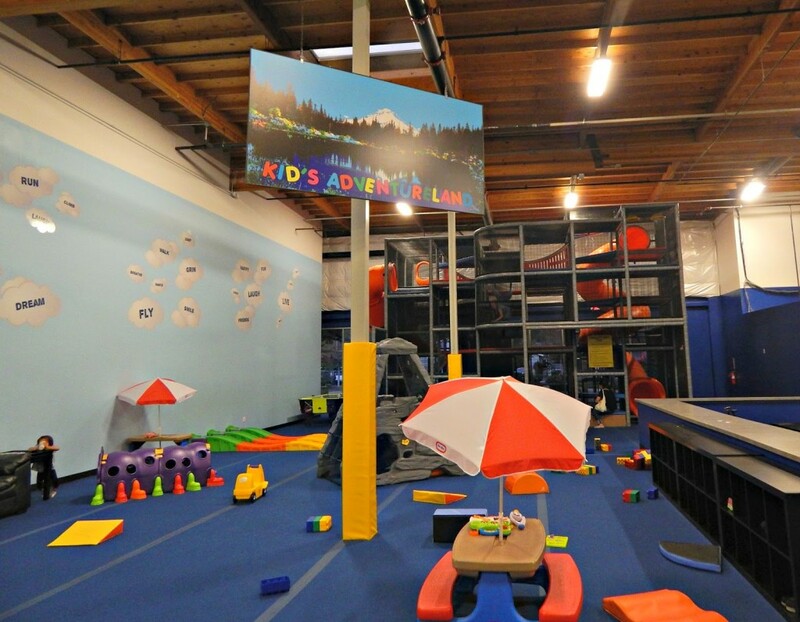 Wow, what a fun place for kids… and after expending all that energy it must make for a peaceful evening? It looks like everyone had fun and there was something even for you. Thanks so much for sharing with Adorned From Above's Link Party. We hope to see you at tonight's party. Excellent review! very comfortable chair i feel very relaxed when i massage on this massage chair. Informative and interesting which we share with you so i think so it is very useful and knowledgeable. I would like to thank you for the efforts. I am tiring the same best work from me in the future as well.